My thanks to John McCreadie for the photos on this thread as of today's date (4th June 2009). There are a number of graves still to be photographed which I will hopefully add at a later date. 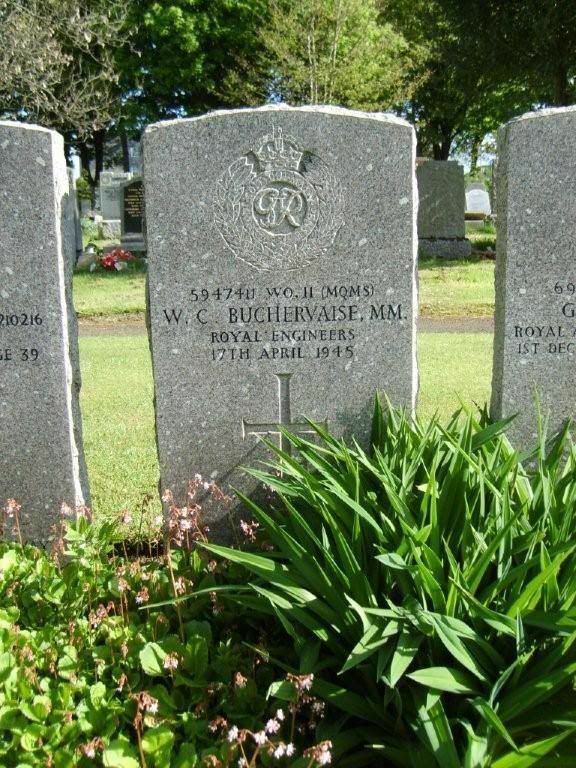 Glasgow (Cardonald) Cemetery contains 161 Commonwealth burials of the Second World War, including 2 unidentified seamen, a number of them forming a war graves plot in Section E. This plot also contains one non-war service burial and 38 war graves of other nationalities, many of them made from the prisoner-of-war camp at Johnstone Castle, just outside Glasgow. 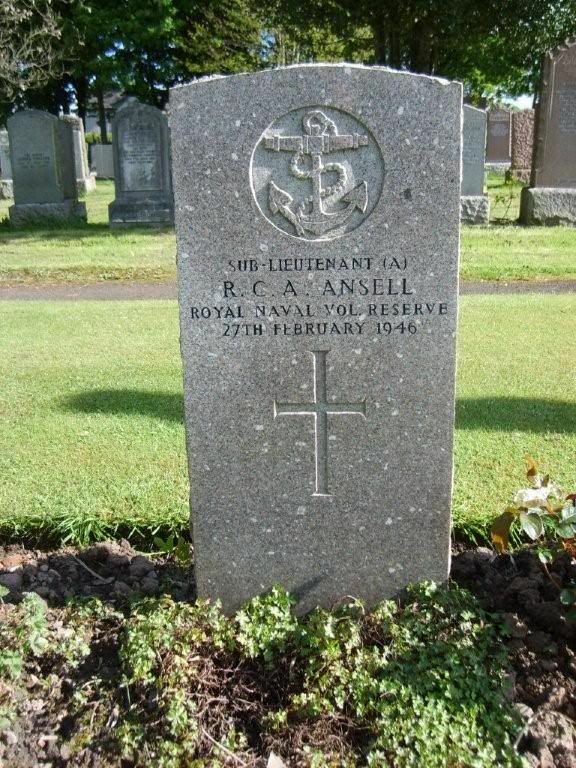 Additional information: Son of Robert and Ellen Allison, of Glasgow; husband of Theresa Allison, of Parkhead, Glasgow. Grave/Memorial Reference: Sec. C. Grave 154. Additional information: Son of James and Mary Anderson, of Glasgow; husband of Elizabeth S. Anderson. of Glasgow. Grave/Memorial Reference: Sec. D. Grave 1948. Grave/Memorial Reference: Sec. E. Grave 38. 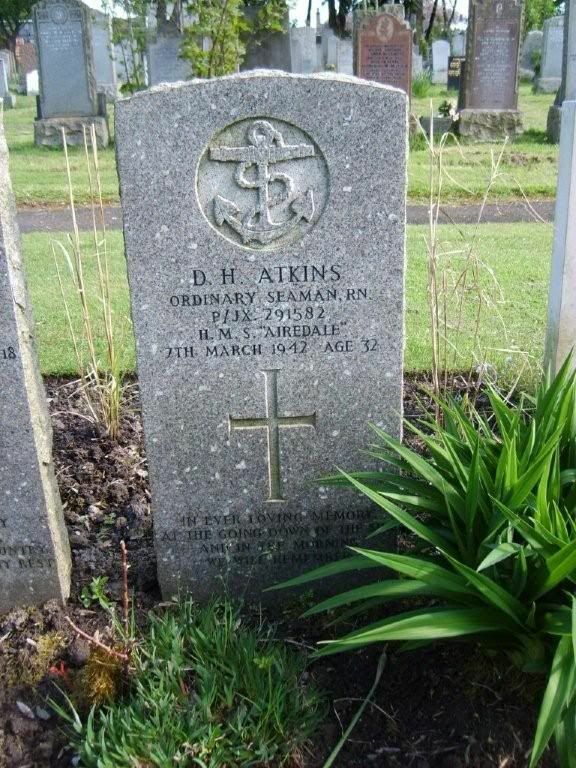 Additional information: Son of Archibald Augustus and Elizabeth Annie Atkins, of Fareham, Hampshire; husband of Norma Rodier Atkins, of Gosforth, Northumberland. Grave/Memorial Reference: Sec. E. Joint Grave 20. Unit Text: R.M. Group, M.N.B.D.O. 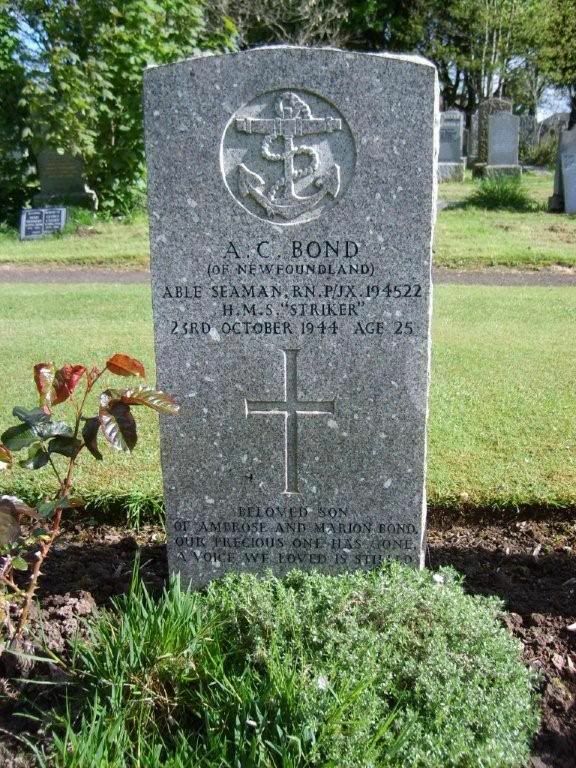 V.
Additional information: Son of Mr. and Mrs. Alex Banner, of Glasgow. Grave/Memorial Reference: Sec. B. Grave 59. Grave/Memorial Reference: Sec. E. Joint Grave 36. Note the incorrect spelling on the stone. Unit Text: 156th (11th Bn. The Highland Light Infantry [City of Glasgow Regt.]) Regt. Additional information: Son of James and Agnes Bell, of Glasgow. Grave/Memorial Reference: Sec. F. Grave 524. Additional information: Son of Richard and Elizabeth Bell, of Glasgow. Grave/Memorial Reference: Sec. G. Grave 743. Additional information: Husband of Ellen Nimmo Black, of Maryhill, Glasgow. Grave/Memorial Reference: Sec. G. Grave 474. Additional information: Son of Ambrose and Marrion Bond, of Belleoram, Newfoundland. Grave/Memorial Reference: Sec. E. Grave 31. Additional information: Son of Samuel Boyd, and of Eleanor Boyd (nee McIlvenna); husband of Margery Anne Boyd (nee Thompson), of Chingford, Essex. Grave/Memorial Reference: Sec. B. Grave 124. Additional information: Daughter of John and Agnes Williamson Boyle, of Glasgow. Grave/Memorial Reference: Sec. D. Grave 166. Additional information: Son of Richard Albert and Mary Brazier, of Leyton, Essex. Grave/Memorial Reference: Sec. E. Joint Grave 39. 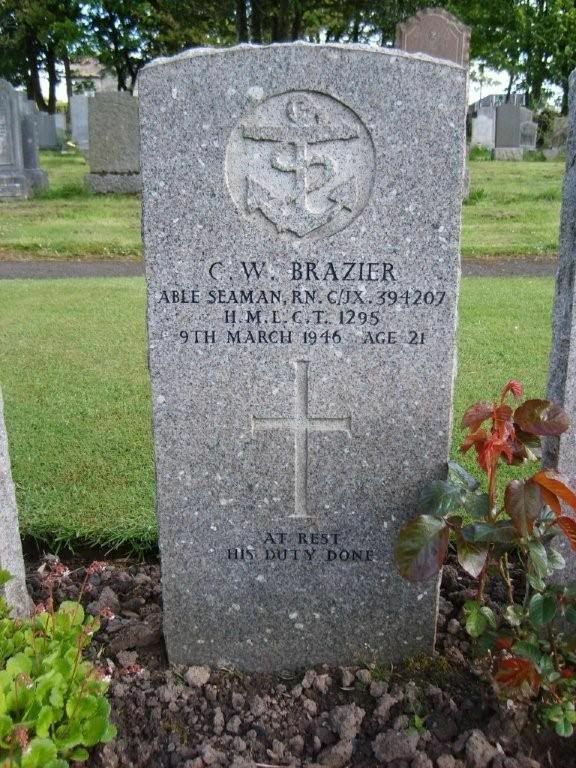 Additional information: Son of Robert Alexander and Jean Barr Bremner, of Glasgow. Grave/Memorial Reference: Sec. G. Grave 437.